After the success of our previous West Coast Trail hikes, we are offering it again to let more individuals with T1D experience this world-renowned hiking trail. Step out of your comfort zone and onto the West Coast Trail with some of the most adventurous type 1s around, on one of the most grueling hiking trails in North America… and also one of the most rewarding! Since leading this hike for the first time in 2012, ICD has led over 40 individuals to take on and complete this incredible trek. 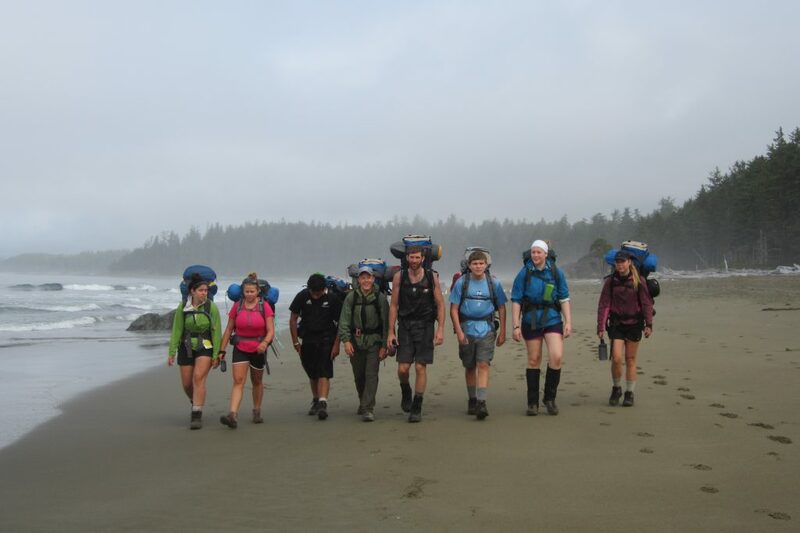 The West Coast Trail hike will take place on some very beautiful, yet challenging, hiking trails. We’ll be hiking for 7 days and that means we’ll be camping out too! Since we will be carrying all our supplies on our backs, it is VERY important to pack small and pack light! This is one of our rare programs where we will not be accepting everyone, the challenge is meant for fit and motivated participants with type 1 diabetes. We are happy to assist anyone who is interested to sort out if this is the right hike for you, and how to prepare to take on this challenge. Where: The West Coast Trail adventure will take place on Vancouver Island, BC. This is quite a rigorous hike, and has a many unique features to experience over the course of 7 days of hiking. What: Hiking, hiking, hiking and having fun! Cleaning off the mud with a nice splash in a river, ocean or bay may be accompanied by whale sightings, sea caves and sea lions, just to keep us motivated! Suspension bridges over gorgeous gorges, ladders up steep ravines, monstrous fallen trees turned into bridges and stair cases, ship wrecks, and hand-operated cable car crossings serve to navigate this trail, which was originally created to help survivors of ship wrecks get home. For the past 40 years, it has been a rare gem of hiking blisters and bliss, attracting people from around the world. We’ll work as a team to get through this awesome adventure and take care of all the equipment, safety precautions and food prep for this trek. A bus ride for the return trip is included. Be sure to check out pictures from our previous years’ trips 2018 2017, 2016, 2014 and 2013! Who: This trip is open to strong teens and adults who are type 1, physically fit, and can carry 30% of their body weight in a pack on their back. If you are willing to work hard and endure some physical difficulties to enjoy some amazing rewards, this trip is for you! We only have room for 8, so reserve your spot today! Why: It has been said if someone can walk a mile in your shoes… well walking 75 km with others who understand diabetes just as much as you do and being inspired by your surroundings will be completely different. Our participants have overcome many challenges in their lives, diabetes being one of them, and have gone on to achieve greatness! This is an opportunity to do something extraordinary together. Cost: $900 – Includes food, camping permits, group gear (tents, tracking, cooking supplies), ICD mentor/leadership, and transportation from the end of the trailhead back to the start. (Save $100 if you register before Jan 15th) The registration fee of $50 by Jan 15th will also secure the discount. Since we will be carrying all of our supplies on our backs, it is VERY important to pack smart and pack light. We will provide gear lists as well as support you if you require gear rentals. Feel free to contact us if you have any questions surrounding gear rentals. This program has amazing leaders! This trek is led by type 1 diabetics living full lives who love to mentor and share their skills and habits that have helped them to go after their wildest dreams and enjoy the ‘normal’ day-to-day parts of life. They have led more type 1 backpacking trips than anyone else in North America, not to mention the canoe trips, base camps, climbing programs, sport clinics and their own personal endeavours.